AJ Perez, Ai Ai Delas Alas, and Piolo Pascual's 'MMK' Episodes This Holy Week! In the tradition of giving us inspiring real life stories every Lenten season, the longest-running drama anthology in Asia, "Maalala Mo Kaya" will offer replays of their unforgettable episodes. For this year, "MMK" airs its three special Lenten episodes starting this Maundy Thursday (April 5) until Black Saturday (April 7) one episode per day at 7PM. 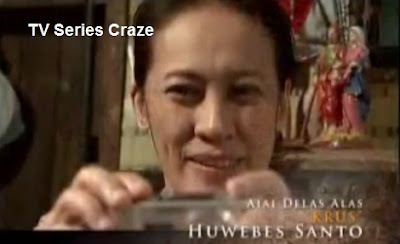 Ai Ai Delas Alas' “Krus” episode will be aired this Maundy Thursday. It tackles on the story of a mother’s love to her children as she struggles to make everything right for them who are not blessed with perfect health. Joining Ai Ai in the said episode were John Arcilla, John Wayne Sace and Lester Liansang. On Good Friday, “Tsinelas” episode that stars the late young actor AJ Perez will be shown. Joining AJ on this episode is child star Bugoy Cariño where they play as brothers finding their way home to their province and the only way to travel is by walking. Facing the wrath of weather and hunger it will test the relationship of AJ and Bugoy and how they hold on to each other as they reach their goal to finally reach home. And on Black Saturday, the Piolo Pascual's episode entitled "Traysikel” is featured. Maricar Reyes joins him playing the character of his wife. The story tells how a father will do everything to save his baby suffering from an illness!